Hopscotch, paper airplanes, musical chairs. Many people enjoy these kinds of games as children but forget about them as adults. However, a rare group of people remember these games and help to create versions that dwarf those we played in our backyards or on school grounds. This list will review 10 of the largest childhood games ever recorded. Although many types of games have been turned into monstrous adult versions, this list will focus mainly on Guinness World Record holders. We will exclude the gigantic versions of video systems, including the Nintendo Game Boy that is 6.7 times larger than the one manufactured by Nintendo. No one is certain where marbles originated. But they have been discovered among the remains of a 4,500-year-old civilization. Since that time, the popularity of marbles has waxed and waned. Although they were popular during the early 1900s and experienced a brief comeback in the 1970s, these toys are no longer used by as many children as they once were. If you had marbles during your childhood, you likely played small games and used marble runs with a handful of plastic pieces. In 2017, the Swiss microsensors manufacturer Sensirion AG set the record for the world’s largest marble run with a 2859-meter (9,380 ft) structure. To achieve its goal, the company split its team into 25 groups. Each was tasked with constructing a segment of the marble run in Flumserberg, Switzerland. The track began in the middle of a meadow that is used by skiers during the winter. 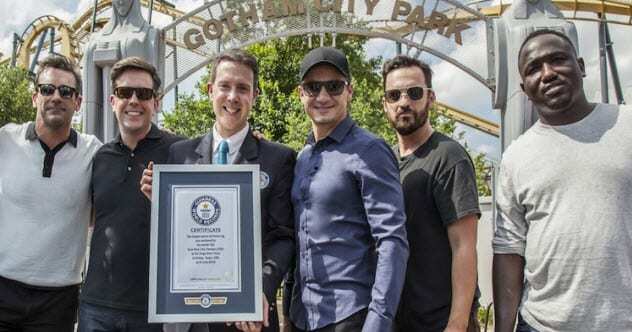 While adverse weather conditions occurred on the day of the run, an official Guinness World Records adjudicator was there to log the accomplishment. Hopscotch is a popular playground game in which players hop through numbered patterns on the ground to retrieve an item. Although many children remember competing against one or several players, the game has surprisingly ancient origins. Some people claim that children in ancient Rome or ancient China placed hopscotch. However, the first recorded reference to the game occurred in the late 1600s in the Book of Games by Francis Willughby. 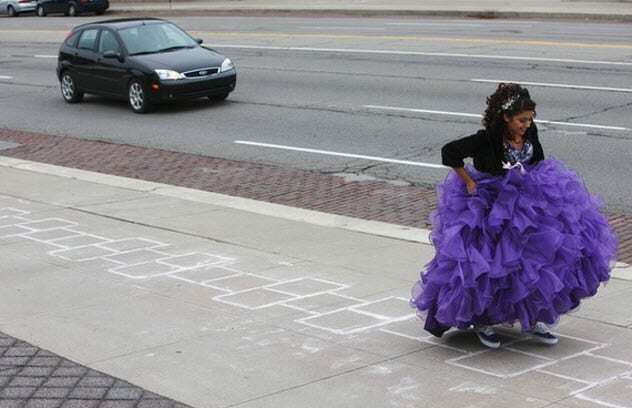 Since that time, hopscotch has been popular among schoolchildren. Although many people abandon hopscotch after grade school, some particularly large hopscotch games have been created by adults. In 2012, a group of people in Detroit designed a 6.04-kilometer (3.75 mi) hopscotch course. These groups, Wedge Detroit and Imagine Detroit Together, proceeded to set the world record for the longest hopscotch course. In addition to setting the world record, the program was designed to help people think about Detroit in creative and artistic ways as well as provide inspiration for the city’s residents to rediscover the area. In May 2016, that record was broken in Guangzhou, Guangdong, China. Brand Teenmix of Belle International devised a 6.13-kilometer (3.81 mi) hopscotch game. More than 300 people competed over two days. In the US, many adults remember attending birthday parties as children where they played musical chairs, an elimination game involving chairs and music with chairs gradually being taken away. While the game is still played at birthday parties, its roots trace back to the 14th century. Although many people remember versions of the game involving fewer than a dozen chairs, much larger musical chairs games have occurred. 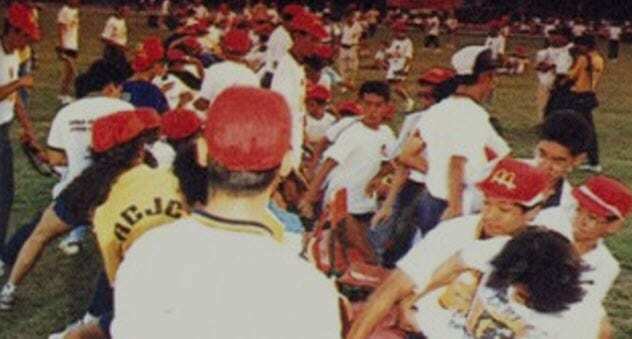 On August 5, 1989, 15-year-old Xu Chong Wei won the largest game of musical chairs ever played. Wei participated for 3.5 hours and beat 8,237 other contestants when the event was held at the Anglo-Chinese School in Singapore. Today, the Musical Chairs World Championship is held annually. The winner receives $10,000 in prize money. Tag is one of the most universal and beloved games played by children. Its origins trace back to ostrakinda, a game played in second-century Greece. There, two teams would stand on opposing sides of a line and spin a shell. Based on how the shell landed, one group would chase the other. There are many variations of tag, including freeze tag (in which a tagged person is unable to move until someone unfreezes him). Although most games of tag are played among a handful of children, some unusually large versions have occurred. In preparation for the release of New Line Cinema’s film, Tag, the company held a record-breaking version of freeze tag in June 2018. The game had 661 participants, which broke the previous record of 634 players. Then, in September 2018, the government-funded childcare service IBO Duffel in Belgium broke the record again with their freeze tag game, which sported 1,393 participants. Speaking of records, Tag is a depiction of the real-life, cross-country game of tag played among several competitive friends for a few decades. It might be hard to believe that the origins of “capture the flag” hail from the US Civil War. Back then, soldiers knew that a battle was over when the enemy’s flag was captured. During the Civil War, soldiers who were able to steal an enemy flag or save their own were even awarded a Congressional Medal of Honor. It remains uncertain when “capture the flag” became a children’s game, but the Boys Scouts of America have been playing it for over 60 years. While “capture the flag” is often played in backyards, much larger versions of the game have been held. 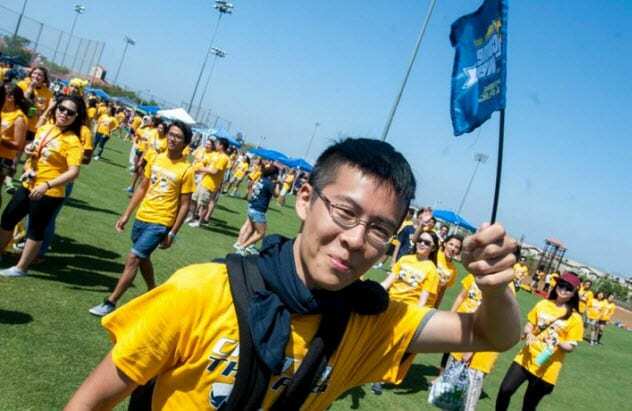 In 2015, University of California Irvine students broke the “capture the flag” record with 2,888 participants during the school’s Welcome Week. The university has broken several other records, including the largest dodgeball game and water pistol fight. This particular version of “capture the flag” split the participants into two teams. Flags were planted throughout each team’s territory. Held in the university’s recreation center, the game lasted for half an hour. The game of Snakes and Ladders is played among two or more players on a board with numbered squares. Snakes and Ladders originated in India where it arose from a different group of dice board games. Eventually, the game was transported to England where it was sold as “Snakes and Ladders.” In 1943, Milton Bradley introduced the game as Chutes and Ladders in the United States. Many children own a small board version of Snakes and Ladders that can be neatly folded up. 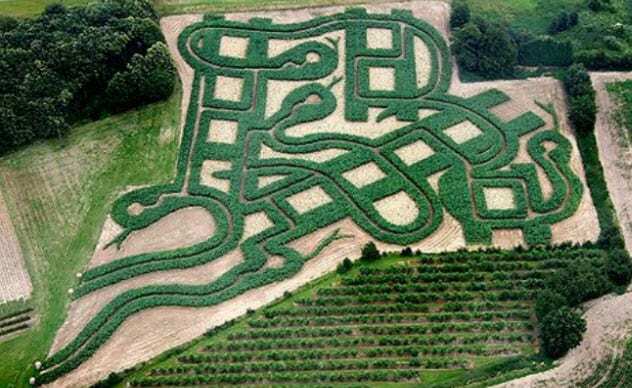 However, in 2007, farmer Michael Blee of Kent, England, spent six months creating a Snakes and Ladders corn maze. The world’s largest board game maze features tunnels that are carved into the cornfields and is meant to be played like Snakes and Ladders. 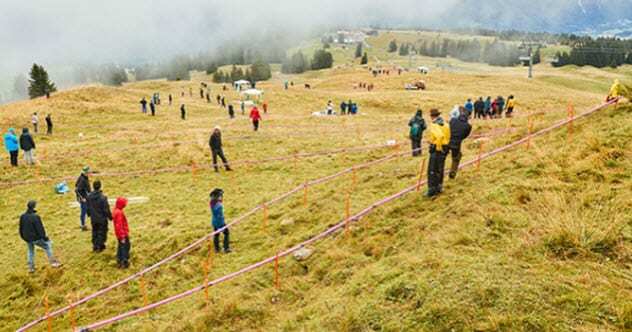 Participants begin at one spot and work their way through the field as they progress. The simple game of catch is frequently played among a few children or between a parent and a child. Most often, balls or beanbags are used. As the game does not require anything except a ball, it has been a popular form of play among children for many years. 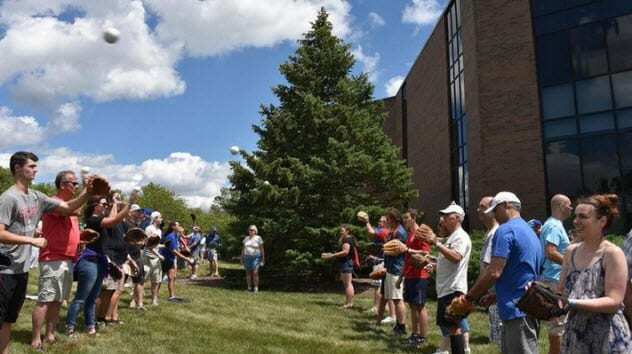 The world record for the largest game of catch was recorded in 2017 at Willow Creek Community Church in South Barrington, Illinois. Almost 2,000 people participated. After dividing into 972 pairs, the individuals began tossing baseballs to one another. Dodgeball’s roots can be traced to 19th-century Africa. Although soft rubber balls are commonly used in the game, it was first played with large rocks, which resulted in serious injuries. A missionary who saw the game in Africa later introduced it to St. Mary’s College in Norfolk. A leather ball was substituted for the rocks. In 1884, St. Mary’s College hosted colleagues from Yale University, including Phillip Ferguson (who is often credited with introducing the game to players in the United States). 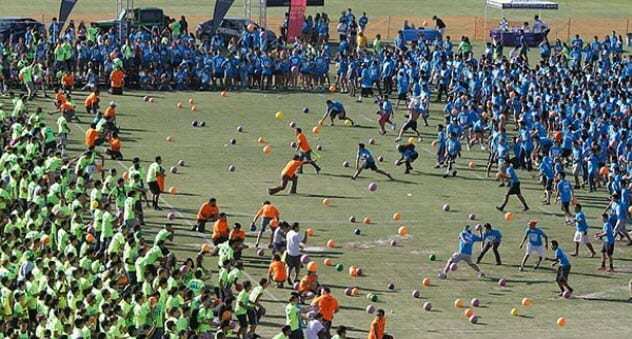 In 2012, the University of California Irvine set the record for the largest game of dodgeball with 6,084 participants. As previously mentioned, the university has achieved several records, including the “capture the flag” title. Existing for over 1,000 years, paper airplanes have played an important role in the history of aviation. While Leonardo da Vinci designed model planes out of parchment, other creators developed balsa models. From 1899 to 1903, the Wright brothers used a combination of paper airplane models and a wind tunnel to gain an understanding of the forces controlling aircraft flights. 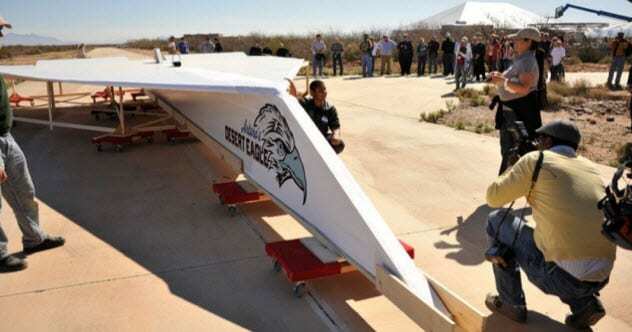 The largest paper airplane on record came from 12-year-old Arturo Valdenegro. It had a length of 13.7 meters (45 ft), a wingspan of 7.3 meters (24 ft), and a weight of 363 kilograms (800 lb). Valdenegro made the airplane in 2012 as part of a children’s paper airplane contest held by the Pima Air & Space Museum in Arizona. While still on the ground, the aircraft buckled under its weight and required some on-site repairs. Once the airplane was released from a helicopter at 1,524 meters (5,000 ft), it glided for several seconds and reached a speed of at least 161 kilometers per hour (100 mph) before crashing to the ground. Duck, Duck, Goose is one of the first games learned by many children. For those who aren’t familiar with the game, it involves children sitting in a circle while one player walks around patting the others on the head until someone is finally selected. Then a chase of the “picker” occurs before someone becomes the next picker. Although the game originated in Sweden, many countries have their own versions. Most children play the game at birthday parties and during school. However, in 2011, a mammoth version occurred at Logan Rogersville School District in Rogersville, Missouri. More than 2,000 students from kindergarten to high school participated. The school decided to conduct the huge game as part of its “Be A Record Breaker” theme in which students were encouraged to focus on achieving personal goals. In all, 2,172 students participated in the game. Read more fascinating stories about children’s games on 10 Children’s Games You Won’t Believe Got Banned and op 10 Hand Crafted Games And Decorations.